Imagine that you go to the eye doctor and he prescribes you some glasses. You receive the glasses and notice one small thing, you can’t see clearly. This eye doctor has given you the wrong glasses, and like physical glasses that we need to see and drive cars, we need Biblical glasses. Have you ever read the Bible and been like, “what in the world does this have to do with anything?” or, “I don’t understand this verse in the Bible.” Well, my friend, you have not used your new glasses. You have received the wrong glasses. When we rightly divide the old and new covenants we can realize why stories are in the bible, and we can understand what this verse is about. This was written to young (pastor) Timothy. Paul was telling Timothy to rightly DIVIDE the Bible (the word of truth). Notice the word, “divide” has to do with separating something (the old and new covenant). These covenants need to be separated to have a clear view of the Bible. Can you see how people misinterpret some of the things that Jesus has said? Some people even get angry when they preach about Jesus. Remember anyone who preaches angry, thinks their God is angry. Jesus spoke to people under the law. Jesus told a man once to keep the Ten Commandment in order to get to heaven, but is that the truth for today? Absolutely not! Jesus wanted people to see that they couldn’t earn any blessings or favor from God. He wanted them to realize they needed a savior, so He brought in the law, to bring them to the end of themselves. Let’s not bring back the law after Jesus has fulfilled it. People quote the following verse without realizing it is an old testament verse. This was written, before the cross even took place. Notice that from Acts to Revelation, you can find NO verse that said we are forgiven, if we forgive! But, you find plenty of verses that say we have been forgiven! Notice the difference? Before the cross we find that we must forgive to be forgiven, but after the cross we forgive because God has forgiven us (past tense). Live your life and read your Bible knowing when the new and old covenants started! 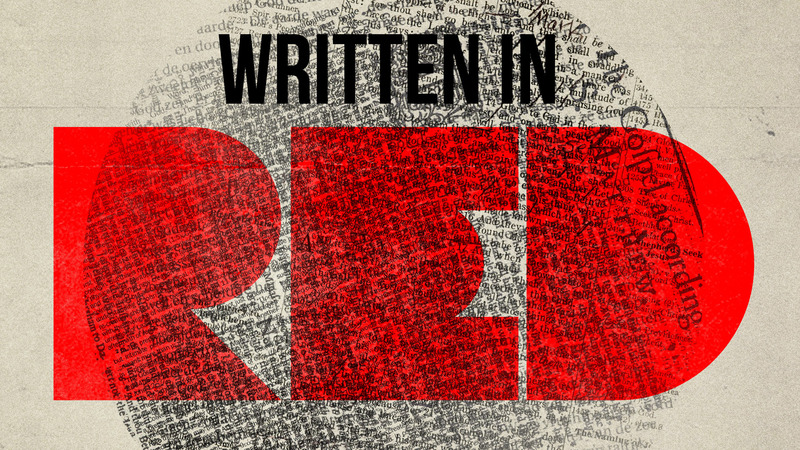 The entire Bible is God-breathed, so technically the whole Bible should be written in red! Jesus spoke to people under the old covenant, and we cannot read the words written in red and automatically assume it is for us. Whether the Bible is written in red or black, we need to rightly divide the old and new covenant. Thanks Jack! I really appreciate your comment! I know how you feel. We have to stay connected to a local church. God will rise up a generation of preachers. God’s grace is so wonderful!